David Green Construction offers projects that are overseen by a Master Builder. What that means is your remodeling in Beaverton will be handled from design to completion by someone with more than 40 years’s experience in the business. At David Green Construction we believe in superior quality down to the smallest detail! We start by listening to you. Whether you have a detailed idea of what you want or are not sure how to make things work, we take the time to look at the space, ask the right questions, and make suggestions. We want your remodeling to reflect your style but also be an improvement on functionality. Talk to us about what you have in mind. We work with you to make it a reality. Get smart, inspired design with a team of licensed contractors who truly care about their work. Choosing the right contractor to remodel your home takes careful consideration. We make the choice easy by offering referrals and an extensive portfolio of our past work. Our remodeling services include everything from an additional room to installing new counter tops and everything in between. We build custom fireplaces, add on covered decks, remodel kitchens and bathrooms, and just about any other building project you have in mind. 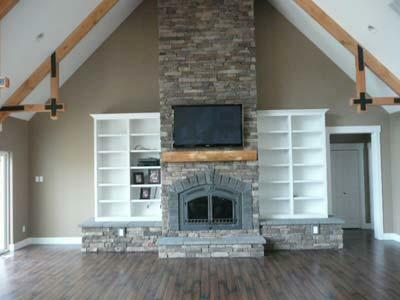 Our expertise covers design, permits, budgeting, and completion of a remodel that you’ll be excited to see every day. How do we stand out from our competitors? Call today and let us know all about your home remodel ideas. We proudly serve the Beaverton area! With the swell of new homes in the area, finding a good construction service can be tricky. Don’t make a quick decision on a company that lacks the experience and local connections. We can offer competitive pricing and a team who knows how to minimize disruption while working in your home. Call us to talk about your ideas! We offer no-cost estimates for every project.